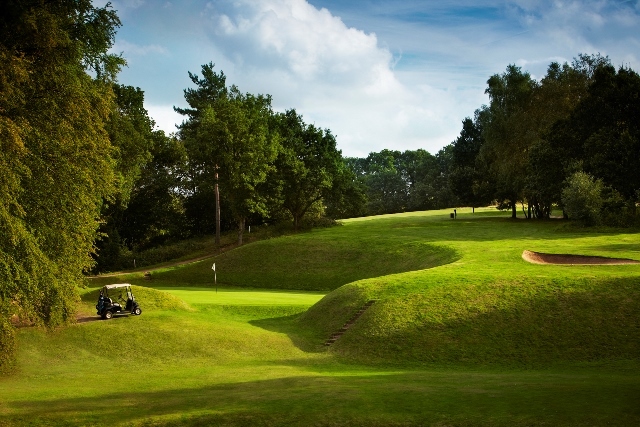 Mannings Heath has everything to offer Societies looking for the best golfing day out in Sussex. Our sales team will tailor-make a package to suit your group. Each year we welcome visitors to take part in our Open Competitions for amateur golfers at Mannings Heath Golf Club and Wine Estate. Our Open events do fill up very quickly so be sure to enter early. Championship Waterfall Course, 18 holes, teams of 4 - Stableford best 2 from 4 scores. Full Handicap Allowance | Handicap Certificates Required. Championship Waterfall Course, 18 Holes, Individual Stableford (two or three tee start, depending on numbers). Tea / Coffee with a Danish on arrival, Range Balls, 18 Holes of Golf, followed by a delicious 3 course buffet lunch and prize presentation. Waterfall Course, individual scratch & handicap championship. Range Balls, 18 holes of golf followed by a delicious 2 course lunch and prize presentation. Entries will only be accepted upon receipt of full payment and completed Junior Player Consent Form. Championship Waterfall Course, 18 holes, four-ball better ball Stableford in pairs. Tea & coffee on arrival, range balls, 18 holes of golf followed by a delicious 2 course buffet dinner and prize giving.